Another week- more rain ahead! This picture is starting to get old, and the only beneficiaries are our lawn and gardens who are loving the constant rains promoting their growth and wellbeing. 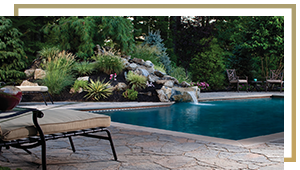 Seriously, with summer temperature bound to return soon, now is the time to plan your next outdoor expansion project. We are IVY Studio, a residential landscape design and build consulting firm based in the greater Boston area specializing in residential outdoor expansion. Our portfolio of services includes designing and building outdoor kitchens, fire pits and fire places, swimming pools and spas as well as landscapes, irrigation and lighting and more. Contact us at 781-591-0300 or vern@ivystudioMA.com to schedule a no obligation site consultation and begin your odyssey to the oasis of your dreams.